What chance that West Ham can win at Manchester City this weekend? A chance that will happen once in a blue moon? I have been supporting West Ham for almost sixty years. I am an optimist by nature. I must have watched us play more than a thousand games of football. On virtually every occasion, I’ve always thought that we had a chance of winning the game. OK I’ll admit sometimes it is a slight chance or a long shot, but a chance nonetheless. But for this game? We are more likely to see a blue moon. On Sunday afternoon we face Manchester City at the Etihad Stadium. Now City have really been a class apart so far this season in the Premier League. These are some of the thoughts attributed to our manager this week ahead of our visit. He has said that “I think that there have been moments when we’ve looked OK.” Even if there have been, my understanding of the word moment is that it refers to a very brief period of time, perhaps a second or two. The word OK is perhaps a very overused word that means adequate or acceptable. I just have a feeling that looking adequate for a few seconds won’t be anywhere near enough to trouble the league leaders. He has also said “the players are trying to improve and get better”. Well sitting in the bottom three then this is something I would be hoping for. Shouldn’t this be true of all professional footballers at all times? This was followed by “a lot of our goals are down to individual mistakes.” Tell me something that anyone who follows the team didn’t know. He then said “we’ve got a good team.” Many comments I’ve read on social media and in the newspapers this week would suggest that there are a number of people out there who wouldn’t necessarily agree with that one. He finished with “I’ve never gone into any game thinking that we’ve not got a chance of winning.” Now going back to my opening paragraph this is something I’ve almost always believed, albeit sometimes with many doubts. But this time I am going to make an exception. I really don’t believe that we have any chance whatsoever. In fact it would take a miracle. A miracle is an extraordinary and welcome event that is not explicable by natural or scientific laws and is therefore attributed to a divine agency. My grandson (who is seven) was asked at school this week as part of an English lesson to come up with a sentence that included the word miracle. 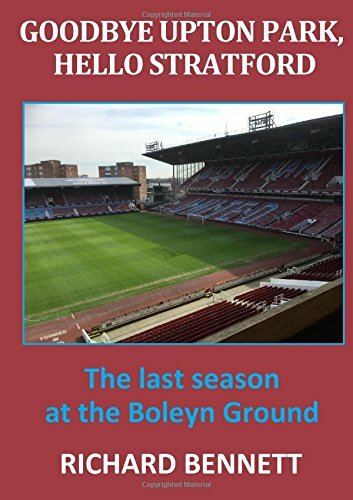 His offering was “It would be the most amazing miracle of all time if West Ham beat Manchester City on Sunday.” The teacher was full of praise for his excellent understanding of the meaning of the word. Next Next post: Hammers To The Slaughter: Against All Odds At The Etihad?